New research at Rutgers University has shown how to slash the cost of highly efficient light emitting diodes (LEDs) and significantly reduce lighting’s energy requirements. The energy savings, however, will likely be eroded as people find new uses for the inexpensive lights. It’s a classic example of how a solution to a problem may cause more problems, or at least nullify the solution. "I am doubtful that we will save any energy by going to LED lights," said Thomas Theis, director of the Institute for Environmental Science and Policy at the University of Illinois at Chicago. LED lights use just 10 percent of the energy of incandescent lights and less than half the energy of today’s compact fluorescent (CFL) bulbs. An LED that uses 6 watts of electricity, for example, produces the same amount of light as a 14-watt CFL bulb or a 60-watt incandescent bulb. 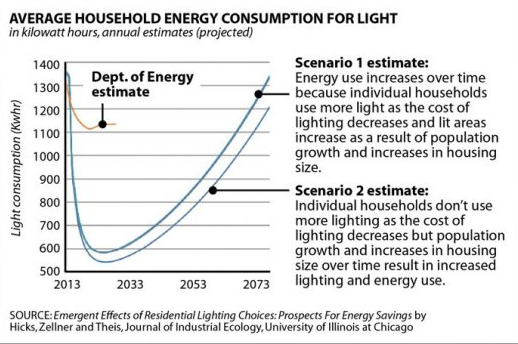 According to the U.S. Department of Energy, electricity used for artificial lighting in the U.S. could be cut nearly in half by 2030 through the adoption of high efficiency LEDs. 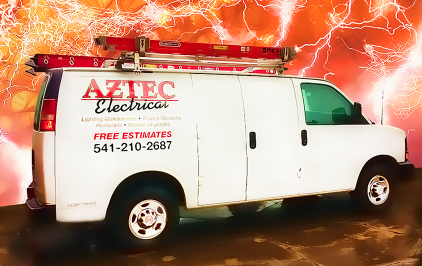 Aztec Electrical will help you with #lightingdesign and all your electrical needs. Give us a call today at (541) 245-8560. Layered Interior Lighting - What Is It?